Whew! Your comments on yesterday’s post are amazing! There’s no way I have time to comment on each and every single one of your comments, but I promise I’ve read each and every single one. We spend so much on our classrooms, don’t we? I know that $200 will go far in helping one of you lucky readers. Yesterday, after spending a few hours in my room cleaning it before they officially clean it, I went to a few stores to pick up some goodies. My main objective was to get showerboard at a home improvement store and have them cut it for me- voila, dry erase boards! First, I went to Menards. After spending forever wandering, I found it! I waited for about 5 minutes for an employee to come around and then went to find one. And, guess what? They told me they won’t cut it. So, I decided to try Lowe’s across the street. Went in and browsed, and six different people asked if I needed help. Refreshing. Finally, I was in the area and explained what I was looking for. Instead of shower board, though, I found marker board!!!!!!!!! WHAT? They sell dry erase board in large sheets? Crazy! All my blogging buddies just said that shower board will work but it will need to be cleaned often and replaced in a few years but it’s affordable enough to do that. But, alas, they ALSO refused to cut it for me and said it wouldn’t work. Here’s the thing, I came online to complain, and no less than a dozen people told me that they’re full of crap and they do it all the time for them. GRRRRRR! So I guess I’m heading back soon! I did, however, find the tools I need to make whisper phones for my room! Yay! I spent a good 10 minutes in the aisle, picking up pieces, and putting them to my ear. I think the workers walking by thought I was crazy. It sure didn’t look like they’ve seen teachers come and do it before. I’ve seen people just use one rounded piece, but I don’t like the angle on it. 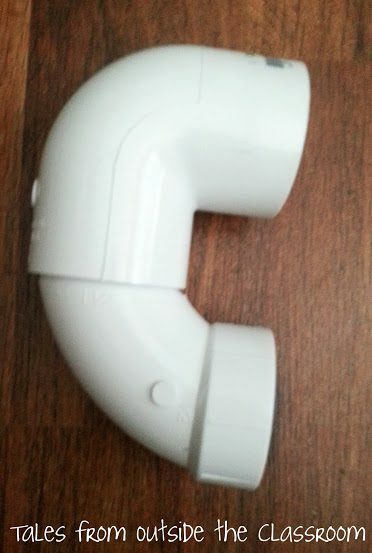 Also, when you buy two pieces of PVC that are the same size, many of them don’t fit inside each other- I felt like that should have been obvious to me, but it wasn’t. So it took some time for me to find the pieces that fit together. And, on another note, I updated my 3rd grade Common Core Math Warm Ups. I changed the cover and the clip art to spice things up a bit. The content is still the same, so if you bought it already, you can decide to redownload it or not. Of course, I updated the freebies as well. You can get 4 free pages from clicking the preview on one of the product listings or they have their own separate listing as well. In honor of the update, the entire set is on sale! If you are a Facebook follower, you saw it last night. For 48 hours or so (until Friday night) each set is $1 off, or the bundle is priced at only $15! Buying each set individually at normal price would be $24, so that’s a fantastic deal. You can head to the bundle in my TpT store by clicking the image above. It’s on sale in my TN store as well. I’m off to run errands, go to the gym, and get some housework done today. My summer days are running out rather quickly! Oh and I just love reading your blog! I tried to find a long, straight piece so I could try it with one of the elbows, but couldn't find any that fit. I was also a bit concerned that they'd be too long, but I'm glad to hear that you like them! Thanks for providing an alternative! 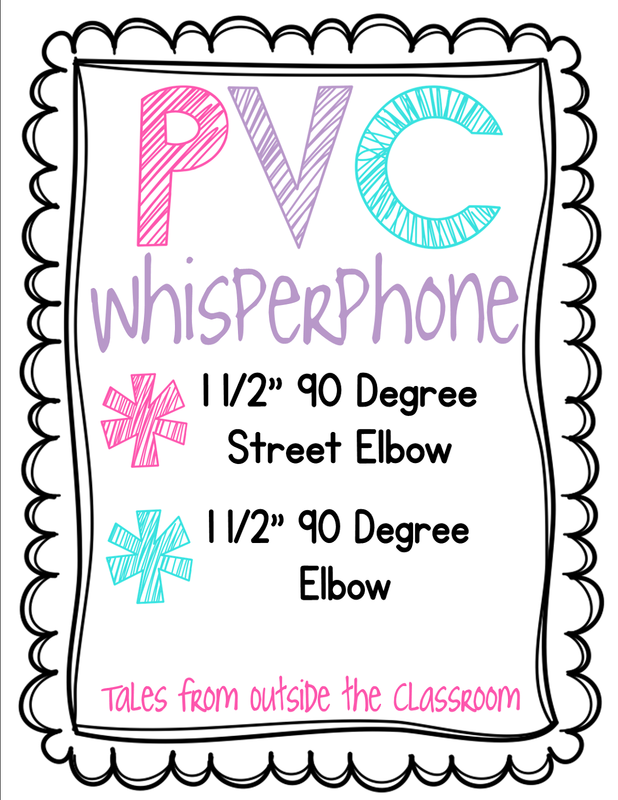 When you made the "Whisper Phones, " did you glue them or did the pieces just fit together? They just fit in together. No gluing necessary!